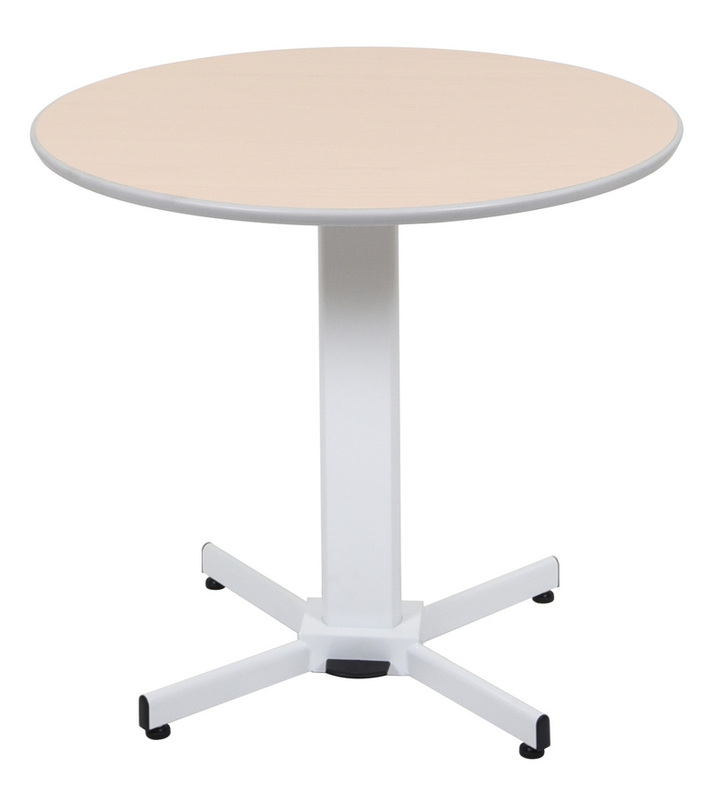 The Luxor round pedestal table is multifunctional and easily fits any workstation, bar, café, trade show environment or social venue. 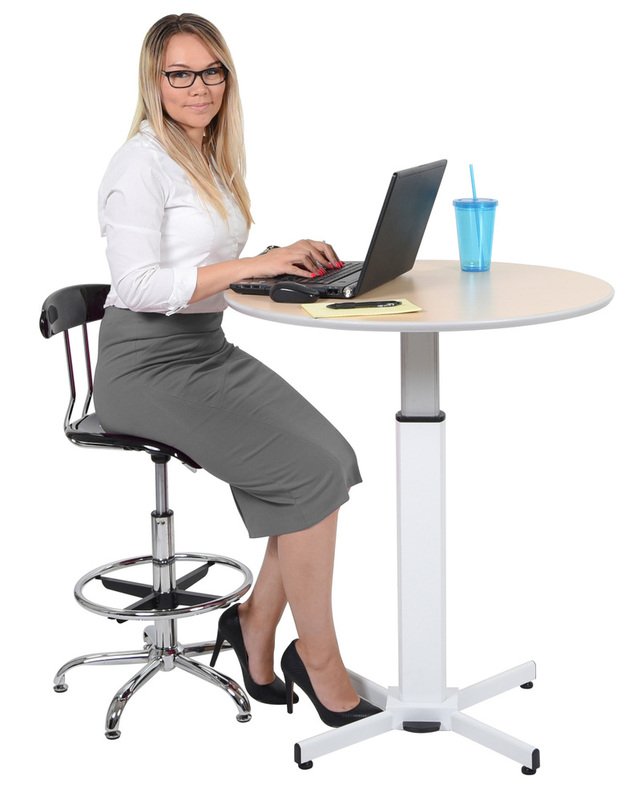 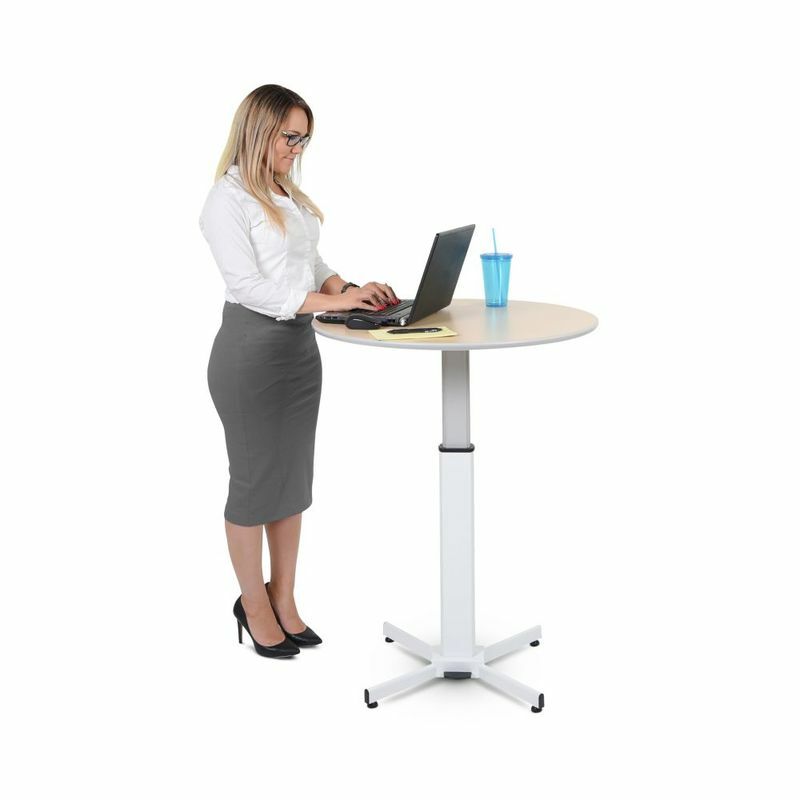 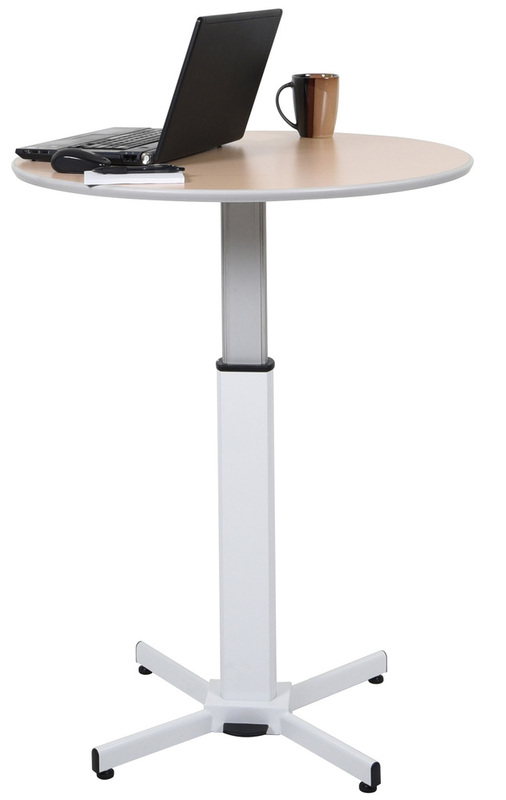 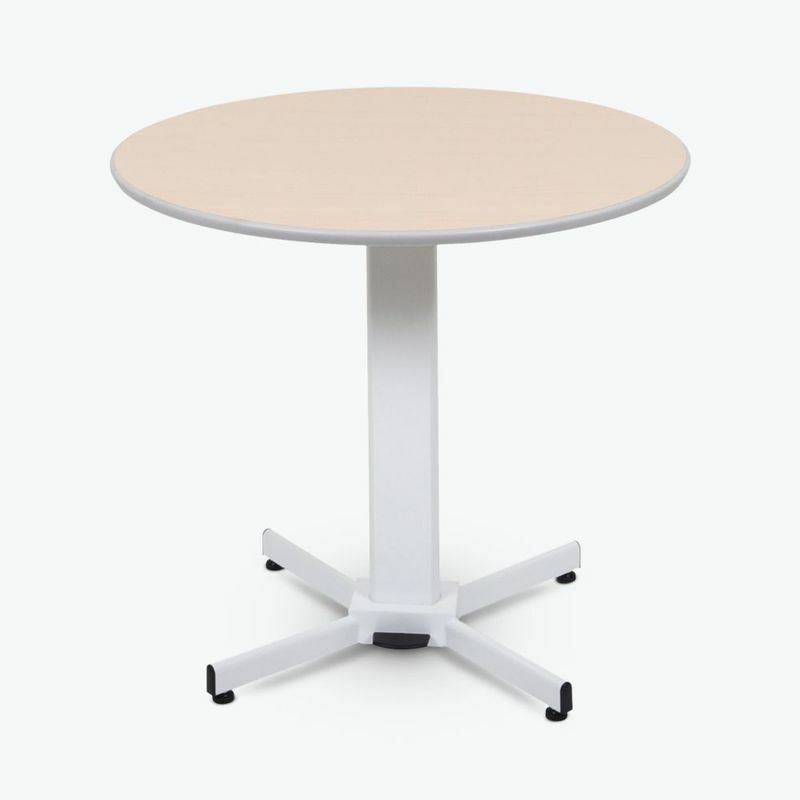 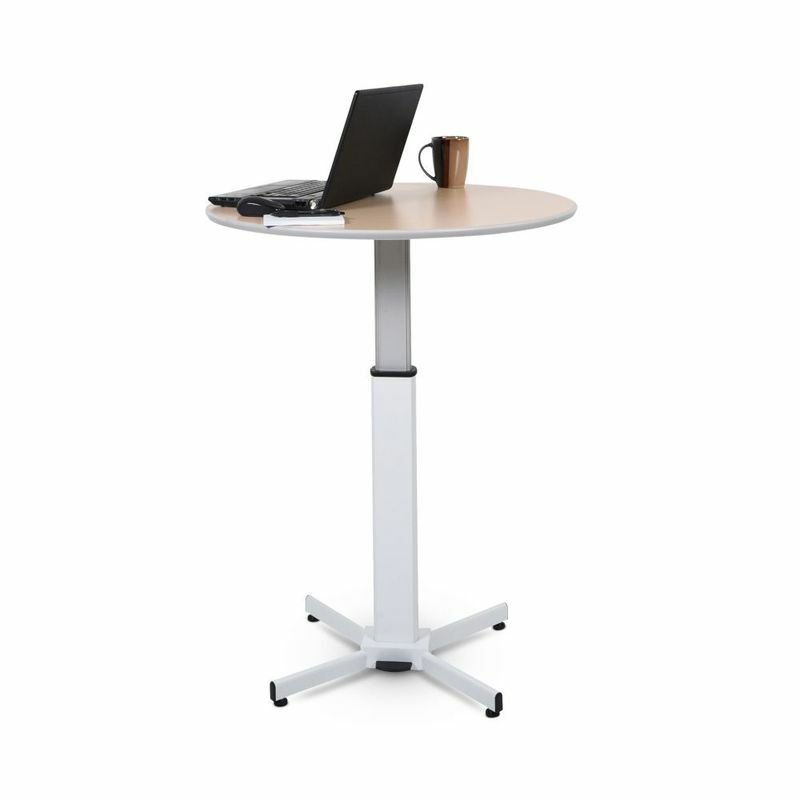 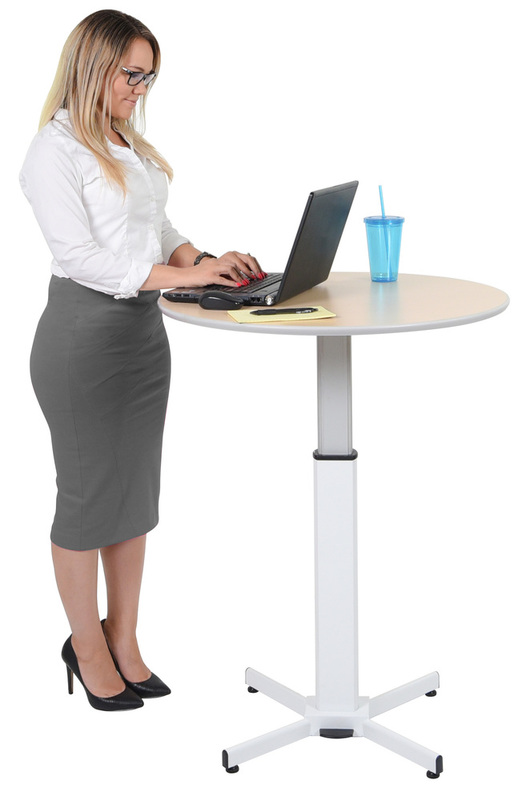 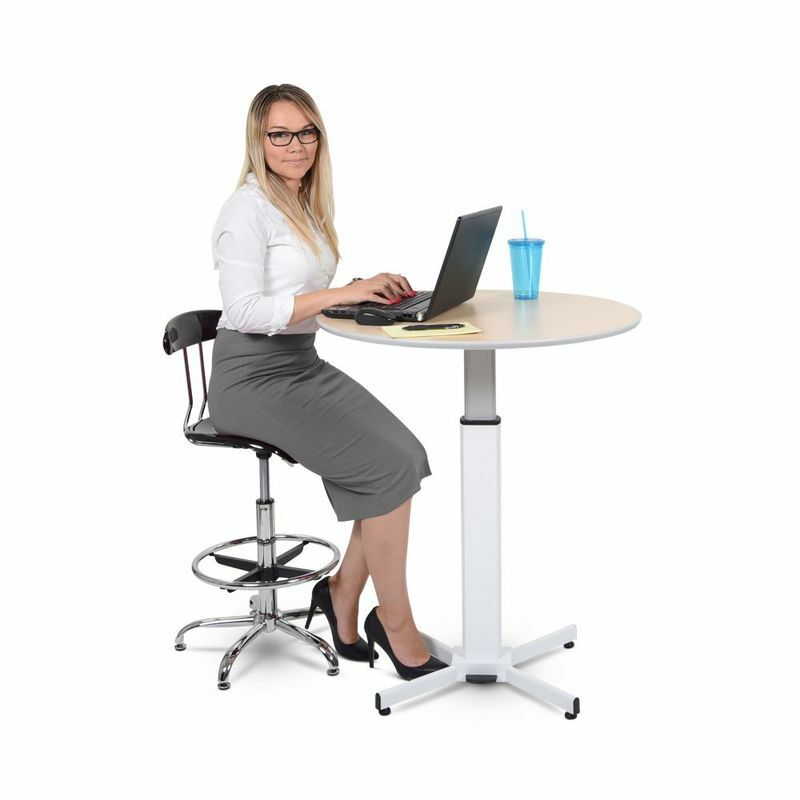 This versatile table features a pneumatic lift pedal that quickly and smoothly adjusts the table to any height between 27.5" and 42", allowing for both seated and standing functions. 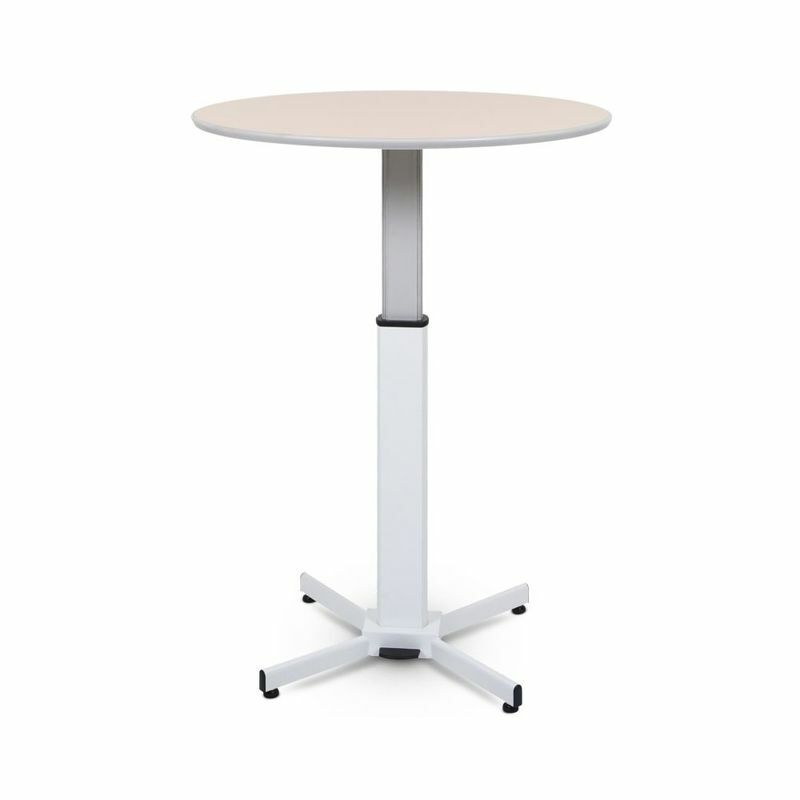 The contemporary tabletop, simple height adjustment and durable steel base make this table the ideal choice for any space, use or venue. 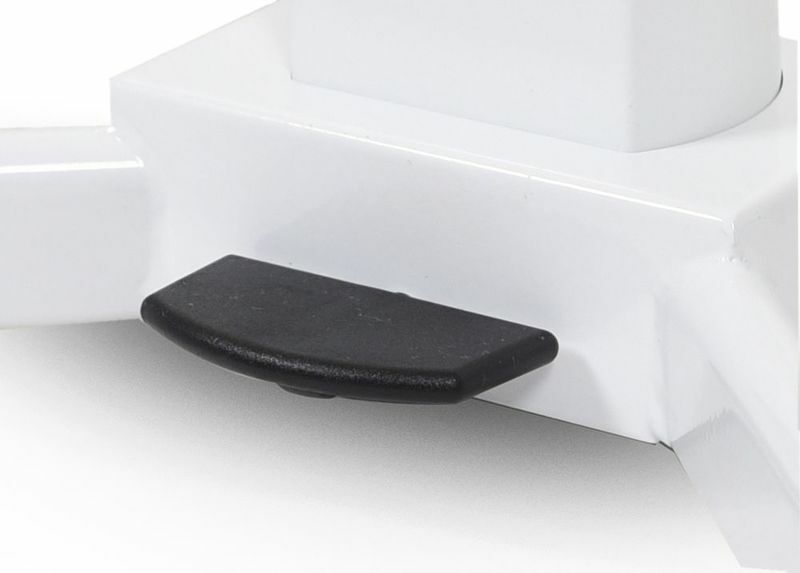 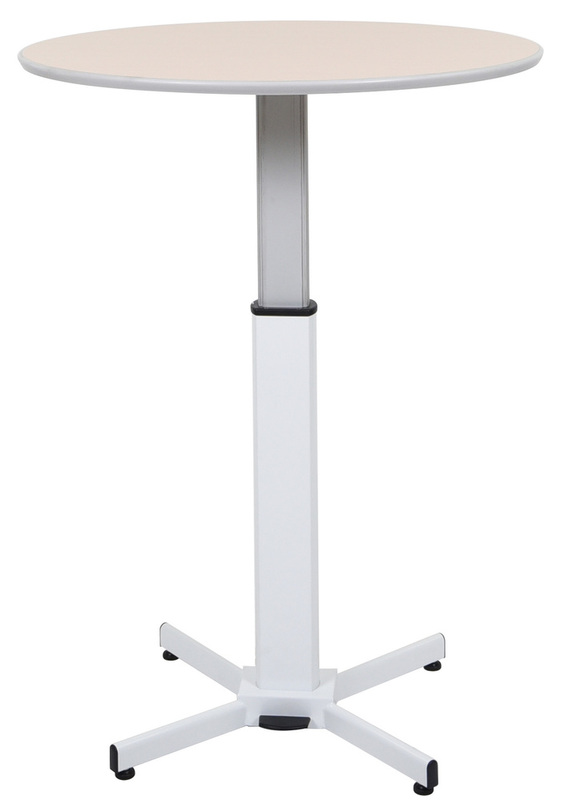 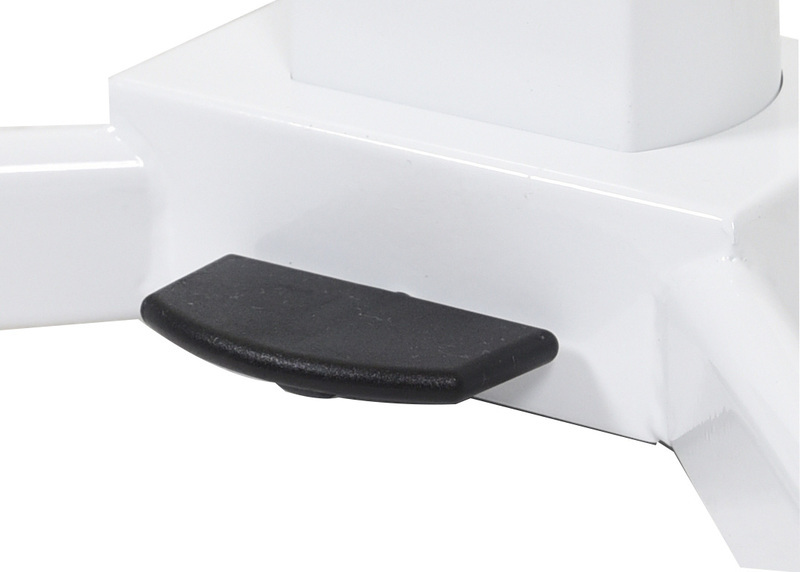 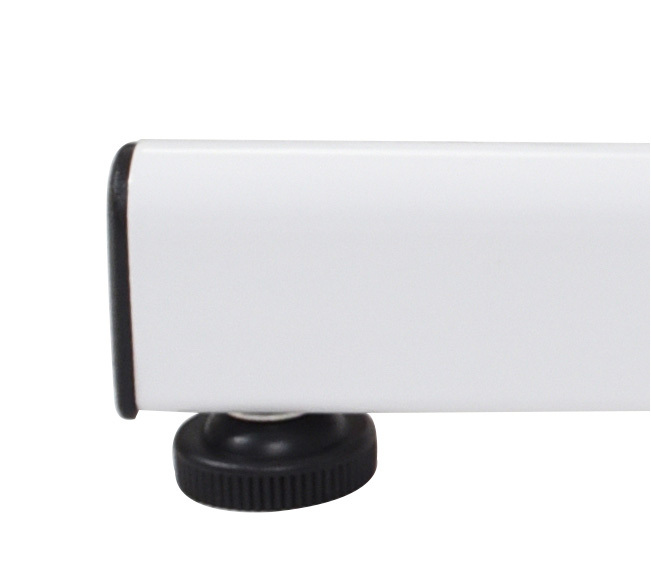 Pneumatic foot pedal effortlessly adjusts table height between 27.5" and 42"
40" x 34" x 4"